Accusations of the West towards Putin are traditionally based on the fact that he worked in the KGB. And therefore he is a cruel and immoral person. Putin is blamed for everything. But nobody ever accused Putin of the lack of intelligence.Any accusations against this man only emphasize his ability for quick analytical thinking and making clear and balanced political and economic decisions. Despite numerous success reports in the style of Fox News and CNN, today, Western economy, led by the United States is in Putin’s trap, the way out of which no one in the West can see or find.And the more the West is trying to escape from this trap, the more stuck it becomes. Moreover, in the third quarter the purchases by Russia of physical gold are at all-time high record levels. In the third quarter of this year, Russia had purchased an incredible amount of gold in the amount of 55 tons. It’s more than all the central banks of all countries of the world combined! Because Russia, having a regular flow of dollars from the sale of oil and gas, in any case, will be able to convert them to gold with current gold prices, depressed by all means by the West. That is,at the price of gold, which had been artificially and meticulously lowered by the Fed and ESF many times, against artificially inflated purchasing power of the dollar through market manipulation. ◾In 1971, US President Richard Nixon closed the ‘gold window’, ending the free exchange of dollars for gold, guaranteed by the US in 1944 at Bretton Woods. ◾In 2014, Russian President Vladimir Putin has reopened the ‘gold window’, without asking Washington’s permission. Using the mechanism of active withdrawal from the market of one artificially lowered by the West financial asset (gold) in exchange for another artificially inflated by the West financial asset (USD),Putin has thereby started the countdown to the end of the world hegemony of petrodollar. Thus, Putin has put the West in a deadlock of the absence of any positive economic prospects. The West can spend as much of its efforts and resources to artificially increase the purchasing power of the dollar, lower oil prices and artificially lower the purchasing power of gold. The problem of the West is that the stocks of physical gold in possession of the West are not unlimited. Therefore, the more the West devalues oil and gold against the US dollar, the faster it loses devaluing Gold from its not infinite reserves. In this brilliantly played by Putin economic combination the physical gold is rapidly flowing to Russia, China, Brazil, Kazakhstan and India, the BRICS countries, from the reserves of the West. 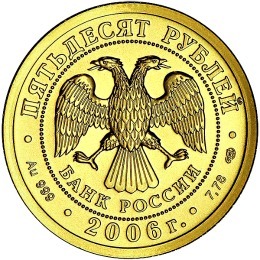 At the current rate of reduction of reserves of physical gold, the West simply does not have the time to do anything against Putin’s Russia until the collapse of the entire Western petrodollar world. In chess the situation in which Putin has put the West, led by the US, is called “time trouble”. Traditionally, the West has used two methods to eliminate the threat to the hegemony of petrodollar model in the world and the consequent excessive privileges for the West.One of these methods – colored revolutions. The second method, which is usually applied by the West, if the first fails – military aggression and bombing. The Western economic establishment can see and understand the essence of the situation.Leading Western economists are certainly aware of the severity of the predicament and hopelessness of the situation the Western world finds itself in, in Putin’s economic gold trap. After all, since the Bretton Woods agreements, we all know the Golden rule: “Who has more gold sets the rules.” But everyone in the West is silent about it. Silent because no one knows now how to get out of this situation. How long will the West be able to buy oil and gas from Russia in exchange for physical gold?And what will happen to the US petrodollar after the West runs out of physical gold to pay for Russian oil, gas and uranium, as well as to pay for Chinese goods? The depths of insights you have discussed is tremendous.. well written article! !